Here's the trailer for Freelance Pod, a new podcast about how the internet has revolutionised the way we work. This episode's guest is writer, coach and podcaster Rebecca L. Weber. This episode's guest is ex-BBC journalist turned social media trainer and content strategist Sue Llewellyn of Ultra Social! It's International Women's Day 2019, and so I decided to celebrate all the amazing female guests who've been on the pod, plus tease you with a few voices from upcoming episodes. Well, this episode has got me nostalgic for London trains, tubes, bridges and underpasses that were covered in graffiti in the 90s. Producer Leona Fensome guests on the podcast to tell us about working on BBC Radio 4's Woman's Hour. Sure, none of us have finished Bandersnatch yet, because none of us ever will. We're just going to have to live with that. This episode's guest is radio and podcast producer Shola Aleje. This week's guest is Jordan Gass-Poore' (https://twitter.com/jgasspoore), who's currently working for US liberal magazine Mother Jones in New York. 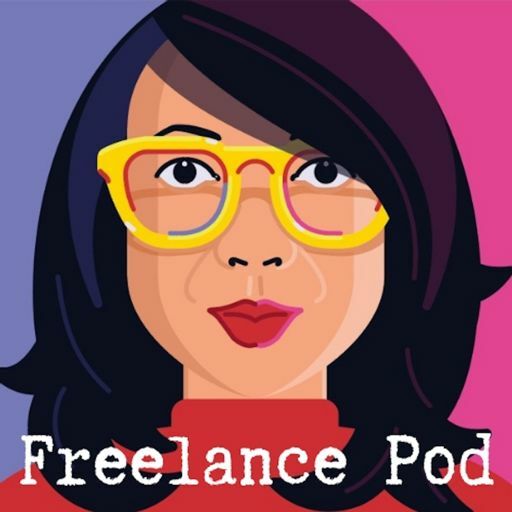 Welcome to the first episode of Freelance Pod! The first guest is audio expert Christina H. Moore. Christina has worked on podcasts for the BBC and for Apple Podcasts, and she now works on podcasts with musicians.